Death creeps up on a man, and takes him while he's not looking. To end. To be no more. To move through worlds like angles with no worry of today or tommorw. To die. To bask in Hashem's enterianl light. To end. To be no more. Death creeps up on a man and takes him while he's not looking. And then he is no more. I will end with a story. I. Knew Levi when he still lived in fairfax VA. 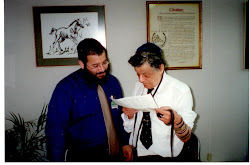 He was working for Rabbi Sholom Detich. Levi was speical, unique. I went to his apartment for a shabbos meal. He treated me like family. Levi you were a friend and I will tell the truth I sobed when your neshma left this world.